Colonel Silver is the first of the high-ranking Red Ribbon Army officers Goku fights, and thus is overwhelmed and unprepared. He is shown to be a talented, powerful fighter with a love of weapons, and excellent in marksmanship as well. As evident in both the anime and the manga on multiple occasions, unlike most officers, he doesn't immediately turn to violence and threats in order to get information, but rather simply asks a couple questions and only resorts to physical means if he's not getting the requested answers. Colonel Silver is also rather fast, shocking even Goku when he runs past and swipes the bundle of cloth containing the Dragon Balls and Dragon Radar from Goku's hands. Colonel Silver had a fairly small role in the Manga, but he had a considerably larger role in the Anime. This is because the Red Ribbon Army was introduced a little earlier in the Anime and Toei created several filler episodes involving Colonel Silver and Emperor Pilaf before the next chapter of the Dragon Ball manga was released and the animators could continue on with the story. The anime, much like they did with Colonel Violet, gave Colonel Silver a lot more characterisation. One thing to note about this character is the strange fact that his personality warps with each Dub, despite no one making any alterations to the animation whatsoever. In the Japanese Dub, Colonel Silver is portrayed as being quiet and serious, in the FUNimation Dub, he changes to being short-tempered, aggressive, and courteous to superiors and occasionally complimentary towards random citizens. In the French Dub he is assertive, in the Castilian Dub he is irritable and foul-tempered, whereas, in a contradiction to all, the Portuguese Dub, he is incapable of becoming angry, and is understanding and patient. In the manga, Commander Red said he was going to be executed for his failure, but that scene is never shown. In the anime, Colonel Silver is called back to the Red Ribbon base for questioning. Colonel Silver begs for a second chance, but Commander Red replies that there are no second chances in the Red Ribbon Army. He orders the guards to take him out of his sight, but Colonel Silver brushes them off. He than calmly walks out the door. Though the fact that Commander Red sends two guards after him suggests that he was executed off-screen shortly after being dismissed. 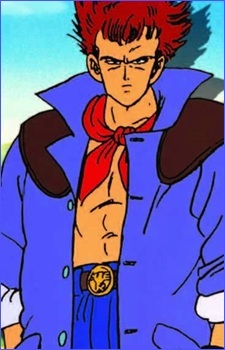 It is unknown if he escaped alive and still lived up until the end of Dragon Ball GT, as he was not seen at all in the Super 17 Saga when all villains escaped from Hell.